AWS provides a set of flexible services that spans from the development process to provisioning, deployment, and management. These services easily integrate with popular third-party tools to build out an end-to-end solution that fits your needs. These AWS services are designed to simplify provisioning and management of your infrastructure and applications, deploying your code, and automating your software release process. With these services you can quickly build out your cloud infrastructure, deploy applications to any instance, or develop complex applications on AWS. The AWS Partner Competency Program has pre-qualified the below tools, products, and solutions that integrate with and can extend AWS services and management APIs to meet your needs. Rapidly and reliably build, test, and deploy your applications, while improving quality and reducing time to market. Performance platform to create, manage, run and analyze large scale loadtests and stress tests. Apica offers a set of easy-to-use, flexible load testing services that reveal how your application behave under both normal and peak load conditions. Integrate it into your existing stack and automate testing throughout your development process. Atlassian unlocks the potential in every team. Our products help teams collaborate, build software and serve their customers better. Bamboo, Atlassian’s continuous delivery tool, offers strong integrations with AWS. Automated performance testing - Every commit, every release, every time. BlazeMeter offers a cross-enterprise test automation framework for the entire development lifecycle. Run Continuous or On Demand testing for APIs, mobile apps or websites in the cloud or on-premises. Based on leading open-source tools and integrates with all major CI and APM tools. Recognized as a CI Leader by Forrester and the only FedRAMP-authorized cloud-hosted CI/CD provider for the U.S. government, CircleCI is where Dev and Ops meet, with flexibility and empowerment for Dev, and security, scalability and control for Ops. Automate your build-test-deploy processes with the simplicity of CircleCI’s serverless offering on AWS or the control of hosting in your own VPC. Supporting Linux, MacOS, and Android builds, CircleCI is the industry leader for performance, flexibility, security, scalability and compliance. The CloudBees Jenkins Platform is the proven, fully featured, enterprise platform for implementing Jenkins-powered continuous integration (CI) and continuous delivery (CD). The powerful integration of AWS with CloudBees Jenkins Platform enables enterprise teams to seamlessly interact directly with AWS services from within Jenkins. Codeship Enterprise allows Dev teams to build, test and deliver software within the security of their own instance. Integrate with deployment providers, use Docker-based workflows, work with pull requests and use group chat tools to stay informed. With advanced integration with existing DevOps tools and workflows, the Delphix platform makes it possible to stand up a complete development environment in minutes, deliver data states that are full and faithful copies of production, and auto test. With the Delphix Dynamic Data Platform, you can move and manage AWS data with greater speed and security. Migrate faster, enable hybrid architectures, and unlock more value from the cloud. GitHub Enterprise is the on-premises version of GitHub.com. It makes collaborative coding possible and enjoyable for large-scale enterprise software development teams. GitHub Enterprise includes the same great set of features as GitHub.com but packaged for running on your organization's local network. All repository data is stored on machines that you control, and access is integrated with your organization's authentication system. Use GitHub Enterprise when you need complete control over repository and project information. GitLab is the first single application for software development, security, and operations that enables Concurrent DevOps, making the software lifecycle 200% faster and radically improving the speed of business. GitLab enables Concurrent DevOps, unlocking organizations from the constraints of the toolchain. GitLab provides visibility, higher efficiency, and comprehensive governance. 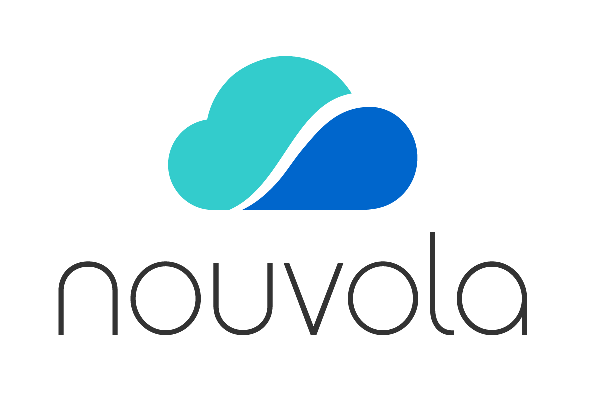 Nouvola offers real-world performance & load testing for web, mobile, API and IoT applications so developers, DevOps and engineering managers can release better code faster. This lets you automate performance and release testing for your applications so issues are caught earlier and code is tested against real-world traffic scenarios before it’s released to production. Nouvola offers real-world performance and load testing for web, mobile, API and IoT applications. Heroku is a managed service, enabling you to implement an enterprise development environment without complex setup and management. Heroku also makes it easier to build applications with AWS best practices for security and operations. Faster Continuous Integration and Deployment with auto-parallelization. See results 10 to 80x faster. Solano CI dramatically reduces testing time, enabling developers to focus on building and innovating instead of waiting for test builds to finish. Our safe parallel execution and dynamic task distribution automatically finish build up to 80x faster. Travis CI helps software engineering teams focus on building great applications, giving them the confidence that their code is ready to ship. Travis CI is the most developer-friendly continuous delivery system. Enterprise Continuous Delivery for complex applications to AWS and hybrid environments. The XebiaLabs DevOps Platform for enterprise-scale Continuous Delivery and Application Release Orchestration provides companies with the visibility, automation and control to deliver software faster and with less risk to your AWS, hybrid, and private cloud environments. Analyze logs and monitor your application and infrastructure performance. Machine learning; purpose-built, embedded analytics solving real use cases; no data science skill needed. CA Digital Experience Insights is an AIOps-driven digital operations monitoring and analytics solution, offering an integrated set of app experience analytics, application performance management and infrastructure management capabilities. CA Digital Experience Insights offers a set of integrated services that complement the core set of services offered by AWS. The solution supports more than 100 technologies spanning applications, databases, servers & storage, some of which could be running on non-AWS infrastructure. Contrast Security is at the center of DevSecOps. With our instrumentation agent-based technologies we are making application security automated, continuous, accurate, and scalable throughout the entire SDLC process for Agile and DevOps environments. Contrast Security delivers DevSecOps technology with continuous & accurate security throughout the application lifecycle. Contrast’s instrumentation technology enables applications to assess & fix vulnerabilities in development and protect applications in production by monitoring & blocking attacks. With 150+ turn-key integrations, Datadog seamlessly aggregates metrics and events across the full devops stack. Datadog is a monitoring service for cloud-scale applications, bringing together data from servers, databases, tools, and services to present a unified view of your entire stack. Dynatrace is the all-in-one monitoring solution for DevOps; designed for large, highly-dynamic environments. Cloud-Native Monitoring powered by AI - provides you with the automated application-health problem and root-cause analysis information you need to quickly identify and understand performance bottlenecks in your environment. Monitor your applications, not just your functions. Epsagon is a serverless monitoring and observability tool that automatically detects full transactions throughout a company’s system, calculates costs and provides aggregated numbers around cost and performance across the most critical business functions. Monitor, observe, and profile serverless apps built on AWS Lambda. IOpipe speeds up development and operations by providing real-time metrics, monitoring, tracing, and profiling. Loggly offers cloud-based log analysis to help AWS customers cut mean time to resolution and improve uptime. Loggly delivers amazing operational insights from logs, the only data that’s common across all parts of online and offline applications. We serve more than 9,000 companies. SaaS-based, unified performance monitoring for complex and distributed IT infrastructure. LogicMonitor® is the SaaS-based, performance monitoring platform for complex IT infrastructure. With coverage for thousands of technologies, LogicMonitor provides granular visibility into infrastructure and application performance. Logz.io enables organizations tansition to DevOps by enabling insights into their continuous delivery pipeline. Logz.io is an AI-powered log analysis platform that offers a popular logging software - the open source ELK Stack - as an enterprise-grade cloud service with machine learning technology. New Relic provides full-stack visibility, real-time analytics, and a pure-play multi-tenant cloud platform. The New Relic Digital Intelligence Platform provides DevOps teams a shared understanding of application performance, customer experience, and business success, helping enable greater collaboration and the creation of faster, better software. PagerDuty is an incident management tool that integrates with DevOps monitoring tools to improve reliability. PagerDuty is an enterprise-grade incident management solution that helps you orchestrate the ideal response to create better customer, employee, and business value. Boost IT efficiency by automating IT operational processes for both cloud and on-premises services. Monitor the health and performance of your Amazon Web Services (AWS) infrastructure and all of your cloud and on-premises services and infrastructure from a single platform. Get a unified operational view of your entire IT universe. SignalFx’s analytics improves alert quality by aggregating metrics across distributed services in real time. SignalFx is the most advanced monitoring and alerting solution for modern infrastructure and applications. Gain a real-time view of, interact with, and take action on the metrics that matter to ensure availability in today's dynamic environments. Splunk is used to deliver end-to-end visibility across every DevOps tool chain component to increase app delivery velocity, improve code quality, and increase business impact of your code delivery. The Splunk platform provides real-time visibility into DevOps-driven application delivery. With insights across all stages of the delivery lifecycle - from application development, to test, to production monitoring, Splunk enables IT teams to adopt DevOps to quickly move from concept to production. Sumo Logic is a cloud-based logs, metrics and analytics service that gives DevOps and IT Ops teams real-time visibility across the entire stack and DevOps toolchain so they can monitor, track and troubleshoot applications and improve software quality. Used as the core of DevOps tools, development and operations can be made overwhelmingly more efficient. Mackerel is a Next-Generation monitoring service, as well as a dynamic configuration registry for the core of DevOps tools. Many customers utilize Mackerel to make the DevOps life cycle more efficient. Manage your infrastructure as code: manage application configurations, containers, operating systems, and servers. Simple, Agentless, Powerful IT Automation. Provides enterprises with the Security, Control and Delegation to manage your IT infrastructure. Ansible Tower is the best way to run Ansible in your organization. Centralize and control your Ansible infrastructure with a visual dashboard, role-based access control, job scheduling, and graphical inventory management. Tower's REST API and CLI make it easy to embed Tower into existing tools and processes. Chef, a DevOps leader, makes it easy to automate your infrastructure and safeguard your systems at scale. HashiCorp is a cloud infrastructure automation company that enables organizations to adopt consistent workflows to provision, secure, connect, and run any infrastructure for any application. Model AWS infrastructure as code to drive repeatability and speed across your continuous delivery pipeline. Puppet Enterprise makes it easy to automate the provisioning, configuration and management of your infrastructure and the software running on them – across physical and virtual machines, on premise and in the cloud. SaltStack orchestration software delivers massive scale, prescient intelligence, and extreme flexibility. SaltStack software for event-driven orchestration controls any cloud, IT or application environment at scale. SaltStack delivers flexible cloud and configuration management for intelligent, autonomic control of any data center infrastructure. Find Consulting Partners to transform your business to be more efficient and agile by leveraging the AWS platform and DevOps principles. We build and manage the components that allow clients to focus on adding value and delivering software and features more quickly. 2W Managed DevOps delivers configuration management, continuous integration environments, continuous delivery pipelines, and managed container systems to allow customers to focus on delivering software, not managing infrastructure and workflows. 8KMiles’ DevOps approach helps our customers build Cloud Competency Centers, set up foundational services, adopt the latest technologies such as Machine Learning and Predictive Analytics to meet the ever-increasing service and competitive demands of the enterprise. Our team has deep expertise in continuous integration, configuration management, event driven automation, large scale provisioning using AWS CFT, OpsWorks, etc., ISV tools like puppet, chef, ansible, etc., and SDKs like python, java and .net. 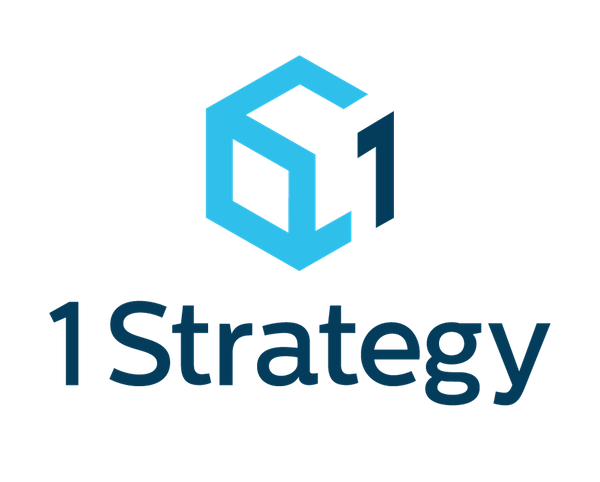 1Strategy is an Amazon Web Services (AWS) Advanced Consulting Partner focusing exclusively on AWS, with experts having deployed AWS solutions since 2007. 1Strategy DevOps consultants help you bridge the gap between application development and operations teams, creating one smooth Continuous Integration/Continuous Deployment (CI/CD) team that is a champion of new development tools and best practices. We bring together all of the capabilities needed to implement Continuous Delivery, including IT strategy, deep industry knowledge, change management and large-scale application delivery. Our Continuous Delivery preconfigured, toolchain enables projects to start rapidly using DevOps practices from the outset. We create state-of-the-art technical architectures for DevOps practices backed by over 20 years of experience with automation to support complex delivery across digital and enterprise applications. AHEAD’s DevOps practice focuses on maximizing the time developers are providing new features by minimizing the time developers are spending on the application delivery pipeline. 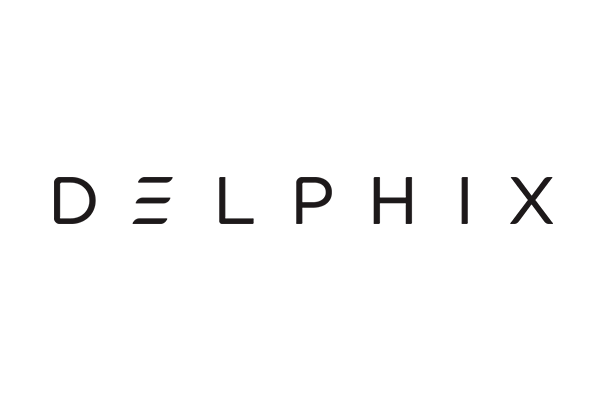 AHEAD collaboratively designs our client’s DevOps ToolChain, deployment architecture, and container strategy while integrating with their Enterprise Tool sets. We focus on business outcomes by stitching, via automation, the application and infrastructure pipelines with full day two operations. Our DevOps practice works with our customers to understand and use the AWS cloud to quickly deliver applications and infrastructure, optimize cost and performance, and protect company assets with security. Quick Delivery – Our DevOps practice ensures our customers get the fastest and best delivery of solutions Rigor, Clarity, and Reliability – Our software engineering team uses AWS DevOps services to enable them to create and maintain infrastructure. base2Services has over 10 years experience helping customers automate, scale and deploy in the AWS Cloud. We implement CI/CD practices, containerization, and automate infrastructure provisioning and management by integrating AWS, third party and open source tools, allowing clients to focus on delivering product and generating revenue. With discovery based methodology and use of programmable infrastructure, BlazeClan offers its customers the advantage of greater automation along with faster deployment and ensures cross-functional collaboration that builds the foundation of DevOps. BlazeClan has built a strong DevOps practice by adopting a unique discovery based adoptive methodology for implementation of complex DevOps projects and developing a framework called DevOps Score Matrix & DevOps Tool Chain Index for creating strategic road map for successful DevOps implementation. BJSS applies DevOps principles to engagements to break down the barriers that often exist between Dev and Ops teams, enabling them to work together to deliver systems into production reliably, safely and rapidly to operate and fully support. BJSS is an IT consultancy with over 20 years’ software delivery and IT advisory experience. BJSS has considerable experience building and deploying high availability, low latency, enterprise-scale integrated devops solutions. Our clients include banks, government, retailers and commodity traders. At BluePi, we employ the industry standard tools and technologies to deploy your app by bringing together development and operations. We deliver seamless DevOps experience using tools like Github, AWS Developer Tools, Teamcity, Chef, Ansible etc. BluePi is a born-in-the-cloud technology company, focused on solving business problems via cutting-edge technology. BluePi specializes in cloud migrations, app development as well as developing solutions for analytics and machine learning to help clients envisage the business growth. Blue Sentry's goal is to help businesses achieve transformational cloud maturity on AWS – faster, and more efficiently than if they were to undertake the cloud journey on their own. Blue Sentry was founded for one purpose: to deliver transformational cloud maturity on AWS. We have deep expertise in migration, security, DevOps, continuous deployment (CI/CD) and data services. Our DevOps experience is rooted in an understanding that while every DevOps environment is different, addressing two key areas—Team Integration and Delivery Automation—will empower organizations to cross over traditional boundaries and implement successful DevOps adoption. One of BRLink’s main goals is to leverage the benefits of DevOps practice on everything we do. Through the use of innovative technologies, our DevOps Practice simplifies the management and provisioning of cloud infrastructure. Our DevOps practice includes CI/CD implementation, for instances, containers and serverless pipelines, always with robust deployment architecture implementations and serious metrics monitoring. Bulletproof’s DevOps enablement service increases collaboration, visibility and reduces risk – allowing you to deliver and release high quality products early and often. Starting with cloud adoption packages to design and implementation of Next Generation cloud architectures. We have a comprehensive range of services including Cloud Optimisation, Data Integration and Agile and DevOps enablement – helping you achieve your Cloud-Empowered Digital Transformation. The CACI Cloud Solution Pack (C2SP) is a comprehensive playbook that helps customers securely and efficiently adopt virtualized cloud services. Whether just getting started, actively migrating, or looking to improve the efficiency of your cloud-hosted workloads, the fundamentals of the CACI Cloud Solution Pack (C2SP) are applicable for all government customers at any level of cloud experience. Candid CloudOps provides Agile development and Cloud operations methodologies to help technology teams deliver on business needs. Candid CloudOps will help transform your tedious deployment processes into a reliable production factory. We shift routine tasks to automation so that you can adapt quickly and stay competitive. CT helps organizations seeking to realize their business potential to capture new enterprise value by leveraging the convergence of Big Data and the AWS cloud. CT offers DevOps Professional Services to accelerate the DevOps journey of an organization. CT’s solution establishes practices, processes and tools that emphasizes the culture of communication, collaboration and automation in software development and delivery. With the adoption of DevOps.principles, our clients deliver faster and have greater business agility. We provide customized and reliable CI/CD methodology to accelerate our customers’ products, services and features to market. Our DevOps practice helps our clients architect, built out, and optimize an automated Cloud infrastructure application stack and supported operational environments. We tailor the automation workflows to the unique requirements of each customer to streamline the path from idea to launch. AWS consulting is an option to support crowd nativeization cheaply and speedily. When you introduce AWS, our experienced engineers solve unknown points and pending issues, we propose optimal solution of construction support, operation support & cost. We help clients to establish DevOps processes for source code management, testing, deployment, etc. With our extensive experiences, we help customers to choose right tools and manage services up and running. ClearDATA's customers benefit from our unique combination of healthcare privacy and compliance expertise and extensive experience developing custom CI/CD and infrastructure as code solutions supporting the next generation of HCLS applications. ClearDATA enables healthcare and life science organizations to realize the full potential of the AWS cloud as a force to drive innovation and agility. Our Automated Safeguards and Compliance Dashboard make it easy for customers to deploy and maintain secure and compliant cloud infrastructure. DevOps is a fundamental ClearScale operating principle and the foundation of every project. We can automate the entire cloud infrastructure from server provisioning and configuration management, to application deployment and continuous integration. Cloudar, a group of born in the cloud AWS Certified professionals, enabling Continuous Delivery with faster Time-to-Market and lower TCO. We eliminate wasted time and resources through maximum automation, continuous integration and deployment. To us, DevOps is more than just a buzzword. We work with your developers or application engineers throughout the entire project life-cycle. Optimising deployment strategies and application architecture, designing CI/CD pipelines and monitoring strategies. DevOps, it's in our DNA. CloudHesive's team's experience spans Software Development, Public Cloud, 18+ years of application technologies and experience in the SDLC/DevOps Ecosystem. CloudHesive's DevOps-as-a-Service and DevOps consultancy grows with our customers, starting scratch or inheriting an existing implementation, we understand the SDLC process of our custom, model it out, walk through the revised process and then provide support as needs change. Hiigh reliability and unlimited capacity in addition to high flexibility with scalability for specific needs. We have integrated very powerfull tools in our business combined with employees’ certified skills to continually develop and adapt. We can make continuous progress by translating our customers’ wishes and needs into effective cloud-solutions – and tailormade, flexible solutions. With a deep understanding of Development and Operations and how they can work together, the Consegna DevOps practice enables organisations to come to terms with the practicalities of adopting DevOps as a standard practice across our clients orginizations. The Consegna DevOps has a proven track record of help organizations of all sizes improve their cloud software release cycles, software quality, security, and ability to get rapid feedback on product development. Strengthened by Cloud Technology Partners and its 600+ successful cloud engagements, HPE has deep experience helping enterprises adopt a DevOps culture to improve sprint and release cycle times by 90%. Leveraging proprietary maturity models; HPE's DevOps practice assesses capabilities across the dimensions of people, process and technology to deliver a detailed plan for improving DevOps maturity. Cloudreach has 6 years experience, enabling our customers to create a culture of DevOps inc skills, processes and tooling. As a native Cloud integrator, our Cloud Enablement and Cloud Operations team at Cloudreach, work with our clients to help them deploy the right tooling, re-design business processes, show the ‘art of the possible’ and create a bespoke Cloud Adoption Program to structure the transformation. We pride ourselves on our dedication to security. As an ISO27001 certified organisation and one of the few AWS consultancies in the APAC region with the AWS Security Competency, we are recognised as a trusted provider of secure DevOps solutions. Cloudten provides a number of key capabilities in the DevOps/DevSecOps solution space from the design and delivery of CI/CD pipelines, incorporating build automation and configuration management, through to container based and “serverless” workloads. At Cloudticity, we believe that complete end-to-end automation is the key to predictable, reliable, repeatable deployments. Your infrastructure is just code. Cloudticity ensures healthcare organizations - providers, payers, and ISVs - achieve HIPAA compliance through automated predictable, repeatable, auditable DevOps solutions. Cloudwick will help assess your current environment, plan and build a data lake, govern data appropriately and keep it secure. Cloudwick offers complete cloud and data lake services and solutions that provide flexibility, cost-savings and performance benefits to meet the growing needs of data-driven global organizations. As expert DevOps practitioners, leading brands across Europe trust Claranet to deliver organisational transformation through consultancy, professional services and infrastructure management. DevOps is our culture, so our service is built to make sure it works. Claranet’s dedicated team of site-reliability engineers are focused on building long term strategic relationships with our customers, and supporting them from their first DevOps engagement to the continuous improvement of their services. CMD assists our clients to enhance their operational security posture by using Infrastructure As Code processes to embed security controls into our cloud environments from the core. CMD develop specialist automation to assist clients with the fast and secure adoption of value add cloud services. CMD's DevSecOps automation enables clients to concentrate on revenue generating aspects of the business. We assess client needs and deliver transformation across people, process and technology via lighthouse projects and supported by our DevOps IP (methodologies and automation frameworks in AWS). Contino is a global consultancy that enables regulated organizations to accelerate innovation through the adoption of modern approaches to software delivery. CTAC provides DevSecOps solutions powered by AWS serverless technologies. CTAC facilities the transition from a traditional development and release cycle to automated CI/CD pipelines and container technologies resulting more frequent and reliable business value delivery. We provide our customers the DevOps best practices to implement automated infrastructure deployments as well as the best tools and agile methods for configuration management. We have the expertise to help you clarifying the impact of your cloud transition on the entire organization with a link to KPIs and a solid business case. This is achieved by baselining, defining the required wanted position and identifying all the challenges to be overcome in your cloud journey. Adopt DevOps processes and automate infrastructure and application deployment. D2SI provides its clients with tools, consulting and training to help them adopt DevOps processes: continuous integration, continuous delivery, infrastructure provisioning and management. Deloitte has committed to digitalize with cloud since first day of business. We have committed to evolve our technology skills and keep providing the intelligent, automated managed services for our customers. DevOps represents a way of delivering better solutions to a higher quality in a more repeatable way and with greater governance. It’s a cultural approach that places a heavy emphasis on collaboration, and AWS provides a suite of best-in-breed services to facilitate that approach. EagleDream enables customers to rapidly and reliably deliver products, automate tasks, and manage complex environments at scale. EagleDream Technologies is one of the largest and fastest growing AWS Advanced Consulting partners in the Northeast. We embrace a fanatical dedication to the customer and specialize in the delivery of Certified Professional Consulting and Education to help our customers rapidly adopt DevOps processes, tools, and technologies. eCloudvalley has committed to digitalize with cloud since first day of business. We have committed to evolve our technology skills and keep providing the intelligent, automated managed services for our customers. eCloudvalley currently holds 130+ AWS certifications and has served more than 400 customers. Our services base on licensed original AWS services, including cloud storage, disaster backup, server hosting, server monitoring, and official AWS training. ECS DevOps Competency leverages AWS native services, third-party tools, and custom scripts to increase the velocity of products and services delivery for our customers. ECS utilizes a variety of tools and processes to deliver DevOps including Jenkins, Bamboo, Travis and complemented with ECS custom scripts and toolsets developed specifically to work within the AWS platforms of services. Using the best available tools, our clients strengthen their operations and lower costs. They focus more of their energy on new initiatives and serving their customers. An automation-first mindset is a force multiplier for business technology. DevOps is not something you can point at. More than a job role or even a specific process, DevOps is executing on a commitment to better software (and better customer experience). Edrans opens up lines of communication across teams and builds automation into a design. We carry out the automation and the deployment of your applications, selecting the software tools that best suit the needs of your company to guarantee the provisioning and scaling of applications, reducing the number of errors and increasing the speed. We have a set of tools that allow us to develop management of systems in hybrid environments facilitating sustained growth based on the following elements: Unique process management, Automation Deployments and continuous Monitoring and Measuring. Improve Cloud Outcomes and Development Velocity with Professional DevOps Solutions. Eplexity DevOps professional and managed services incorporate AWS and best of breed 3rd party solutions to help clients make the transformation to AWS quickly and securely. Your business can achieve true continuous delivery and benefit from an automated - immutable infrastructure managed 24/7. Plan, develop, migrate and modernize. Transform your infrastructure to gain efficiency and drive innovation. Our DevOps practices let us offer to our customers an environment of collaboration to share strategy tools for Dev, QA, and infrastructure automation teams to maintain the continues flow of information. Five Talent provides strategic high-level to granular-level guidance and best practices to help you build and maintain secure, reliable, performant, cost-optimized, and operationally excellent applications in the AWS Cloud. Five Talent architects and develops solutions ranging from mobile, IoT, web apps to AI. At Five Talent, we automate code and infrastructure deployments as well as testing strategies. We have experience with 10+ different CI/CD toolsets that enable secure, reliable and accelerated solution development. Our expertise as hardware and software engineers brings a unique view, bridging infrastructure and code. Flux7 architects solutions to ease innovation and help ensure DevOps practices and psychology are built-in to the foundation of businesses. Our comprehensive analysis and optimized frameworks for continuous delivery and integration. Get the most out of your AWS Deployments with FogOps, Foghorn's Elite DevOps Division. Foghorn offers a highly trained AWS-certified team with cloud computing in their DNA providing development, engineering, automation and operational savvy. What does this mean for your business? Agility and Scalability. Mission is here to help you identify ways to leverage DevOps automation to increase the efficiency and agility of your development team, application and infrastructure. Mission's team of DevOps experts will help you leverage containers, microservices, and infrastructure as code to increase the speed of code deploys, scale infrastructure to meet spikes in demand, recover quickly from outages, and more. Our CICD Pipeline includes ECS/EKS/Serverless/EC2 Pipeline. We mainly use CodePipeline,CodeCommit,CodeBuild,CodeDeploy,ECS,Lambda,CloudFormation and other 3rd party tools. We write CloudFormation scripts for our customers to manage AWS infrastructure such as EC2,Auto Scaling,ALB,Lambda,ECS,etc. HeleCloud enables leading organizations to make the most of the AWS platform by helping them establish processes and tools for fully automated CI/CD, infrastructure as code, and immutable infrastructure, as well as instill Agile/DevOps culture. Convert conventional infrastructure to Cloud-based infrastructure as code, build immutable infrastructure solutions on AWS, and fully automate CI/CD and embed security and performance aspects into the process. DevOps on AWS Cloud DevOps is an approach to lean and agile software delivery that promotes closer collaboration between lines of business, development and IT operations. We can help you implement DevOps processes across development, testing and operation. The IBM Cloud Innovate method provides a comprehensive end-to-end method for cloud transformation. We provide strategic guidance for organizations to drive innovation through successful hybrid cloud adoption. Idexcel’s DevOps on AWS enables agile development teams to focus on their core strengths by delivering Pipelines in the Cloud and frees your staff to innovate, create and differentiate. Idexcel's approach to Application Lifecycle Management (ALM) utilizes an Agile Development philosophy that adapts to your team's needs, removes barriers between roles and streamlines processes so that you can focus on delivering high-quality software faster and more efficiently. Infiniti’s DevOps teams are highly skilled at implementing DevOps processes and using DevOps tools. Infiniti developed its Automation Framework (IAF) as a leading-edge implementation of Infrastructure as Code that we utilize on our DevOps projects. nfiniti’s DevOps team systematically focuses on the following areas: infrastructure as code, continuous deployment, automation, monitoring and security. Infiniti has extensive experience transforming public sector by utilizing the latest cloud technologies, DevOps processes, tools, & techniques. Our DevOps mentality helps our clients architect, build out, and optimise an automated Cloud infrastructure application stack and support operational environments. We tailor the automation workflows to the unique requirements of each customer to streamline the execution. An all-inclusive managed services program that enables your development teams with a suite of DevOps & AWS services 24/7. Simplify, standardise and mature your automated software delivery, test and integration pipelines. Iterate features faster and deliver with increased agility. We enable your development teams with a suite of intelligent DevSecOps, Cost Optimisation and AWS services to help them deliver faster results, 24/7. By utilizing Agile management strategies and DevOps Infrastructure as Code (IaC) delivery methods, JHC can quickly deliver reliable and repeatable cloud infrastructure on AWS. Faster feature delivery by shrinking the developer feedback loop; Quick response to stakeholder requirements and feedback; Improved quality control with automated build, test and deployment pipeline; Auto-scaling, self-healing infrastructure for 100% uptime. The DevOps practice emphasises the collaboration and communication of both software developers and IT professionals while automating the process of software delivery and infrastructure changes. Enterprise Kubernetes Support, Deployment Pipeline, Infrastructure as code, DevSecOps, Monitoring. Kloia focuses on enabling end-to-end DevOps best practices in order to reduce cost and increase productivity by leveraging AWS services. As Berlin based company, kreuzwerker GmbH offers customers the entire range of AWS services, including 24/7 support. As qualified AWS partner, kreuzwerker GmbH is also certified to resell AWS services to both commercial and public sector end customers. At kreuzwerker, we have an extensive track record in optimizing IT infrastructure to match state-of-the-art software development needs. kreuzwerker GmbH enables your teams to benefit from self-service-infrastructure and the versatile use of standard components. kreuzwerker GmbH's goal is to super-fuel your development process. Ibexlabs provides cloud infrastructure and application migration support on AWS. With expertise in DevOps solutions, Ibexlabs helps customers automate infrastructure as well as implement continuous integration and delivery practices. Ibexlabs DevOps consulting services help customers embed the automation, processes, and team composition changes that enables their IT team to deploy work into production with greater speed, quality, and productivity. We believe in maximizing the usage of AWS services to design a more robust, scalable and cost-efficient solution to your business. By developing, implementing and deploying innovative bespoke cloud native solutions, we can better respond to your needs. We help companies accelerate their time-to-market business needs by developing innovative bespoke solutions leveraging cloud services using our DevOps toolset and AWS knowledge. Custom architecture automation, deployment automation, and configuration management tools empower enterprise teams to deploy in minutes, maintain 100% uptime and security standards, and fuel low-risk experimentation. Through Behavior Driven Infrastructure (BDI), Automated Pipelines & Testing and Immutable Infrastructure-as-Code, Mechanical Rock can remove the constraints on your software development process – making it fast, repeatable and less costly. For Mechanical Rock, AWS embodies innovation and customer obsession. Being technologists obsessed with delivering sustainable value, this partnership makes perfect sense. Shrink time & effort in delivering best-in-class Digital Solutions by evangelizing agile methodology, industrializing DevOps platform through new-age Tools & Technology Frameworks. Our customers wanted to deliver frequently with speed and quality. They wanted to shorten time-to-market for new releases. Few of our customers were requesting their delivery automation to be added to their agile delivery methodology. CI and CD implementation helped prevent wrong code commits as it is integrated and automated for each and every build. Post CI and CD implementation, repeated/duplicated builds are prevented and this saved a lot of time. Mobiquity is “all in” on AWS for delivering digital engagement to our clients. We leverage AWS services for enabling DevOps practices, which seamlessly integrate into the broader solution architectures that we design. As a digital engagement provider for the world’s leading brands, Mobiquity leverages DevOps practices to accelerate our clients’ digital transformations. We help our clients to release faster and more predictably to satisfy users’ changing needs and stay ahead of the competition. nClouds enables companies to deliver reliable software frequently with confidence. We use proven tools and processes to promote better collaboration between developers and IT teams, and align them towards adding value to your customer. nClouds uses variety of cutting edge tools and technologies like Docker, ECS, kubernetes. Our focus is always on infrastructure and application automation so companies can focus on the core business. Newt Global enables a one-touch CI/CD DevOps pipeline with focus on automation and deployments to cloud. Newt Global is a leading DevOps partner to some of the leading Fortune 500 companies. They have helped accelerate their DevOps initiatives with best in class consulting services and solutions by bringing about a cultural change in the way they build and deploy software. We enable developer teams to focus on software while automating code deployments, infrastructure, security and systems management. Nordcloud empowers developer teams with tools and processes, automated code deployments, infra, security and systems management. We cover the entire code lifecycle. Nordcloud Managed Services provides the customer with a fully managed DevOps toolset. For us, DevOps means to seamlessly integrate incredible tools and skill-sets into a continuous mindset that translates the needs and wishes of our customers into solutions. Solutions that are always unique and flexible. That can leverage the full potential of the cloud and its dynamic nature. Increase automation and decrease 20th-century thinking. Onica empowers companies by offering continual measurements for achievement, on-demand demonstrations, and milestones for approvals and rejections. Downtime and repetition cost money: allow your team’s talent to break through by automating your workloads. DevOps is our approach for applying the discipline of Software Development to the problem space of IT Operations. Pariveda Solutions brings companies the reliability and speed they need to deliver their products using DevOp practices. Enabling our clients to deliver applications at a fast pace and work together better with their partners and customers. PolarSeven accelerate the automation of your environments by deploying fully repeatable programmable infrastructure defined in code. We utilise innovative technology which is highly redundant and fully elastic to scale with your business. PolarSeven excels in DevOps, a proven method wherein software developers collaborate closely with operations. By working together on the entire product lifecycle, these teams create a quicker, more agile, and more competitive IT delivery. 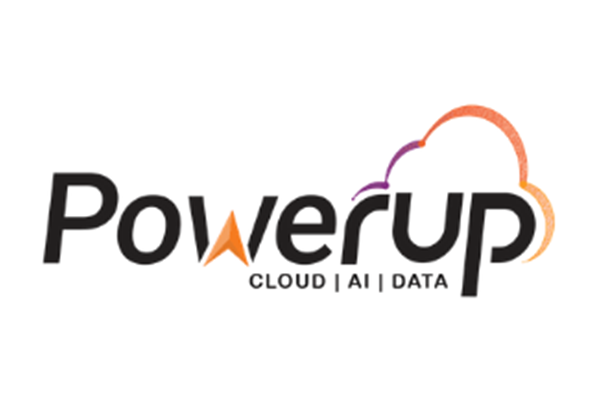 Powerupcloud’s highly experienced and certified DevOps consultants can help you design and implement a strong DevOps practice which suits your organization. DevOps is not a just a process. It is a culture. While nimble startups are able to build DevOps culture from Day 1, we often encounter established enterprise companies and fast-growing startups struggling to adopt to the new-age DevOps practice. Each company may need tailored DevOps culture for successful adoption. We help customers innovate by streamlining, optimizing, automating, and securing their development and operational workflows. Our exclusive focus on AWS gives us the expertise required to transform our customers’ business critical infrastructure. Privo helps customers achieve Security at Scale, leverage Infrastructure-as-Code, implement optimized Continuous Integration / Continuous Deployment (CI/CD) pipelines, and, ultimately, achieve Scalability and Resilience. We transform businesses using proven DevOps principles, resulting in increased efficiency, agility, and competitive advantage. Pythian DevOps services change the risk/reward equation for AWS customers, enabling earlier adoption of emerging technologies. Our enhanced teamwork models, innovative methodologies, and repetitive task automation result in higher quality, more advanced services, delivered faster to customers. Rackspace assists customers in adopting DevOps methodologies and practices by utilizing the native AWS DevOps toolchain (using Rackspace’s Fanatical Support for AWS offering) and 3rd party DevOps tools (using Rackspace DevOps Professional Services). 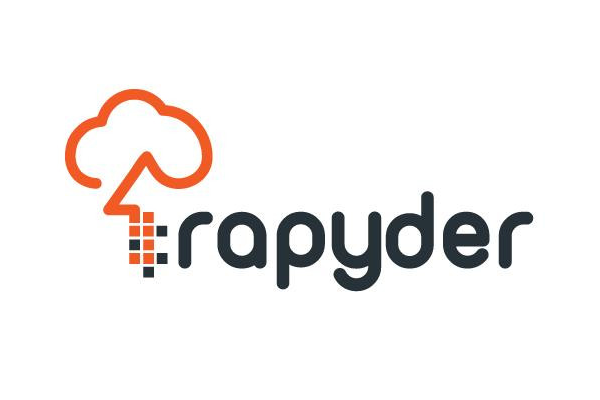 Rapyder Cloud Solutions enables Customers adopt DevOps methodology to reliably automate their release process, thereby improving on the time to market. Our AWS certified engineers team have deep expertise in Continuous Integration and Deployment, Configuration Management and Customized Automation with a combination of DevOps specific AWS services and open-source tools. REAN Cloud delivers an automated CI/CD SecDevOps pipeline on AWS that goes from code to release automatically. REAN Cloud can implement a continuous integration and delivery pipeline on AWS and instill a DevOps culture for your dev teams. REAN provides a combination of DevOps and AWS expertise while also delivering managed services through CloudOps & SecOps. We believe that empowering engineers drives innovation. Rearc’s expertise with Cloud-native architectures and modern DevOps practices, can benefit every organization to foster a culture of innovation with the help of a trusted partner. After assessing the unique technical, financial, and business goals, we help map out a cloud adoption path for customers with a target destination in mind. We believe that the cultural and mindset change is equally important while modernizing the tech stack. With its cloud management platform, Storm Reply ensures that your AWS virtual private cloud infrastructure is available around the clock and that this is operated securely and cost-efficiently. We use automation tools and best practices as core service for our Managed Service Provider solutions, We manage applications on customer's behalf using DevOps approach to speed up operations. According to our deep knowledge on Software provisioning on top of AWS service. DevOps is a combination of cultural philosophies, practices, and tools that increase an organisation’s ability to deliver applications and services faster. The faster speed enables your organisation to better serve your customers. Leveraging Agile & DevOps Methodologies, Cultures, and Principles to Boost Productivity. At RightCloud, we provide a set of flexible services designed to enable companies to more rapidly and reliably build and deliver products using DevOps practices. At SAIC, we combine our deep understanding of our client’s industry and technical expertise with AWS' and deliver through our highly skilled leadership team. Our DevOps transformation services include all stages from strategy to implementation, and operations. SAIC helps organizations to adopt a DevOps culture through a combination of ingenuity, customizable frameworks, technology for converging software development, QA/test, and IT Ops functions into seamless cohesive teams that develop working software faster and better. At Sentia we're excited to help organizations successfully deliver projects. By including DevOps from ‘Day One’ you will reduce the amount of unplanned work, increase the quality (and delivery time) of services. Our CI/CD suite, Halloumi™, adds a layer of abstraction over CloudFormation; it uses libraries of time-proven templates to build complex environments quickly, reliably, and with Security-by-Design. We are a team of proven professionals who are passionate about technical solutions. Six Nines treats DevOps as a critical component of your migrations. Devops is an evolution of responsible engineering and administration and is an important piece to a successful transformation. Slalom DevOps establishes actual DevOps change programs, utilizing both organizational change science and new technologies to transform technology organizations from function focused to product and customer focused. Smartronix transforms the way organizations deploy and maintain services in the AWS Cloud. We use automation techniques and best practices to improve collaboration, integration, testing, delivery, and operations management. SoftServe DevOps services help leverage the cloud and make software meet your business needs. We provide DevOps Automation on AWS. We aim for “one-click deployment.” Our reason for being is to help our customers gain the ability to continuously deploy their software, when they want to, and with confidence. Our innovative Cloud Native Streaming Platform (CNSP) incorporates simultaneous IT and mission monitoring to provide real-time system analytics and enable quick identification of problems either in a test environment or operations. Our platform development is accelerated through an advanced DevOps platform that makes “Doing the Right Thing” synonymous with “Doing the Fastest Thing” when delivering product updates. The CNSP platform is chaos engineered to provide a resilient architecture. We help enterprises successfully adopt the new DevOps paradigm by automating and standardising traditional application delivery methodologies, thereby enabling rapid innovation and business transformation. 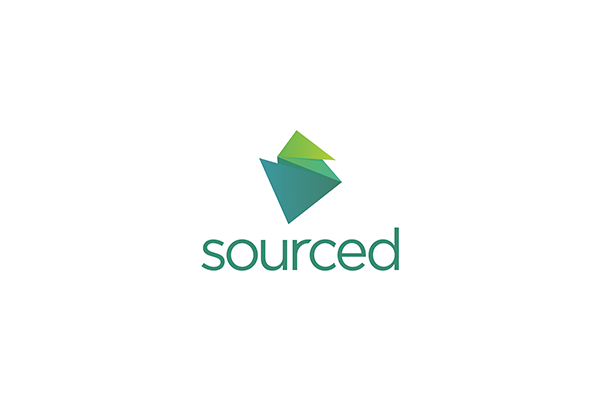 Sourced Group is a boutique global consultancy that has unique experience in delivering large scale cloud transformations for regulated and highly security conscious organisations. Using Sourced’s Cloud Adoption Framework and DevOps methodologies, clients can be safely onboarded to the AWS cloud. We help large and emerging enterprises to asses, implement and adopt their digital transformations by leveraging our deep expertise in Product Engineering, Migration, Security, DevOps, Continuous deployment (CI/CD) and Agile methodologies. As an AWS Advanced Consulting Partner, our core competency lies in custom application engineering for clients who have limited cloud expertise or resources. Our consultation focus is on innovative, disruptive technologies such as containerisation, DevOps automation, mobility/IoT & migration. Deliver new features to users, on demand. Reduce costs of delivering software by reducing overall lead time. We provide DevOps Automation in the Amazon Web Services (AWS) Cloud. We aim for “one-click deployment.” Our reason for being is to help our customers gain the ability to continuously deploy their software, when they want to, and with confidence. Synthesis combines specialist technical knowledge of the cloud with a personal approach. At Synthesis, we simplify the cloud. Synthesis is a specialized technology consulting and software development business with specific expertise in cloud services. It offers highly specialized software development, consulting and integration services and technology-based product solutions in South Africa and other emerging markets. Squadex helps organizations optimize development and delivery pipelines through continuous integration and continuous delivery practices. Enabling data security in the cloud. As DevOps practitioners and an AWS Advanced Consulting Partner, Taos brings together AWS products and third-party tooling to implement and improve DevOps capabilities for our clients. Taos technologists are experienced and knowledgeable across the entire spectrum of AWS services. Let our experts do the heavy lifting while you focus on your business. Our cloud native AWS consultancy have strong team of engineers with a broad range of skills and experience across our DevOps, Data and Managed service practices. This makes us an ideal partner to work with you on your DevOps projects and operations. Our experienced DevOps and Data engineers work closely with your team to create solutions that enable your development and infrastructure teams to achieve the goals of your business that incorporate deployment pipelines, operational automation and continuous compliance. DevOps fundamental reduces time to deliver apps and is offering immediate ROI. On the back of AWS DevOps cloud automation, tecRacer is helping clients to survive and to successfully run their businesses in a digitally transformed environment. Our team of Cloud automation experts are ready to assist with all your AWS DevOps needs including: Consulting services, Development of the DevOps vision, strategy & roadmap, Implementation of DevOps, Software automation, and Modernization of client apps. As an AWS Service Delivery Partner Status for Amazon Redshift and Amazon EMR, TEKsystems is able to leverage its strengths as an IT services provider to help its customers reach their strategic goals. Cloud adoption can help you overcome complexity—but first you have to face complexity head-on. Need guidance? We can jump in to create your roadmap or figure out how much your cloud move will cost. Our iterative and flexible approach helps you get what you need, without getting stuck in a planning rut. Let’s build a cloud stack that lets you run at full velocity. TO THE NEW offers consulting, migration, DevOps automation & 24*7 managed servies for AWS Cloud. They have a team of 50+ DevOps engineers, cloud operations engineers and AWS certified solution architects. TO THE NEW has been working on AWS cloud for almost a decade and have done over 300+ implementations on AWS. Their DevOps team has vast experience of all leading DevOps tools such as Docker, Kubernetes, Chef, Puppet, Ansible, DataDog, NewRelic, Jenkins, etc. Born in the cloud and 100% focused on AWS, Trek10 specializes in leveraging advanced tooling and AWS managed services to design, build, and support cutting-edge solutions for our clients. Our AWS focused DevOps team and next-generation methodologies promote heavy automation and reliability through the use of code-defined infrastructure, enabling our clients to focus on writing code, not managing infrastructure. We specialize in serverless and container-based architectures, are we are huge advocates of using AWS CloudFormation. Combining their software engineering background, 24/7 operational support and deep AWS DevOps expertise, TriNimbus works intimately with customers to successfully increase agility, tighten security, optimize performance and automate deployments. Umbrella helps organizations unleash speed and velocity of Cloud with DevOps principles—automating release process,code-based infrastructure management,micro-services architectures.Automation fosters collaboration among teams,faster time-to-market. Umbrella’s certified engineers uses AWS Services and third party tools to design CICD pipeline for high velocity releases. We build highly scalable deployments for traditional and micro-services application using containerization and serverless architecture to achieve cost efficiencies and speed. Forget the traditional model, we’re in this together. Build, deploy and test, all with a single click. Our leading-edge DevOps practice will see you experience rapid change through automation, and is designed as your strategic business enabler. DevOps gives you access to the continuous delivery of technology through a collaborative culture, and shared performance metrics that link directly to business results. Infrastructure & application deployment automation using AWS & industry standard tools. Standard templates and scripts to significantly accelerate the build-out of future environments. Our DevOps offerings leverage the industry standard toolset to build, deploy and manage the infrastructure and applications. End to end infrastructure and application delivery automation results in reduced time-to-market and increased ROI. VST's corporate vision "establishes a bridge of communication and cooperation between cloud computing vendors and customers to help customers achieve efficient, agile and flexible IT services." At present, VST Yunan is the host and operator of many overseas SaaS services in China. Beijing Weishi Yunan Technology Co., Ltd. (referred to as Wei Shi Yunan) is a wholly-owned subsidiary of Wei Shi Jia Jie. The company has a number of original certification virtualization, hyper-convergence, cloud computing instructors, professional-level architects, professional and technical personnel of various application systems. WSM offers an end-to-end suite of solutions to bring the value of DevOps into your organization. We can help get your organization DevOps ready, create your custom CI/CD toolchain, improve automation, and provide development support. Organizational Change Management – Help prepare for the changes that come from embracing DevOps. Are You Interested in Listing Your DevOps Solution? APN Partners interested in listing their DevOps product or solution must have achieved the DevOps Competency through the AWS Competency Program. Note: All solutions on the DevOps Partner Solutions webpages are created, sold, and implemented by the third party.